This series of vibrating cleaning sieve use vibrating motor, damping rubber springs and other components is preferred, with low noise, smooth operation, low processing capacity, energy consumption, good cleaning effect, the whole closed and no dust outside and excellent performance characteristics. YS-CLSV series vibrating cleaning sieve can be widely used in rice, flour, feed, oil, and food processing plants. Usually provided cleaning process used to remove large, medium, small and lightweight debris; it through the sieve with different specifications, the material can be graded according to particle size, available in different size products. Dingzhou Yongsheng Grain & Oil Machine Company is Specialized mill of grain and oil facility in Hebei Province. We have 10 professional and technical personnel, and 5 senior engineer among them. The area of mill is 35,000 square meter, and capital assets is 15 million. 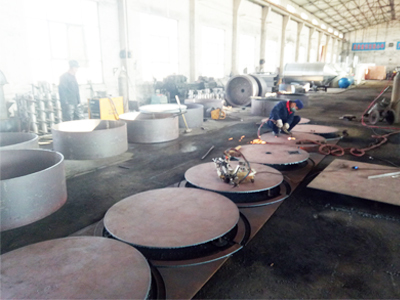 We own various modern processing machine more than 200 sets, of which is controlled-heat by computer for the heat-treated carburizing process, and up to the national advanced standard, additionally, and the test methods of physical and chemical inspection for the mechanical properties are complete. 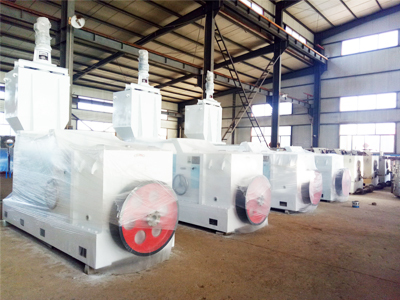 For about 20 years, we designed and developed many specialized machines independently Such as: YZY400 whole-day spiral oil extraction press, YZY290 whole-day spiral oil extraction press, YZY260 whole-day spiral oil extraction press, YZYB260 oil extraction press, LZY206 whole-day spiral oil extraction press, LZY206-2 double-spiral oil extraction press, LZY126 double-spiral oil extraction press, LZY98 double-spiral oil extraction press, ZY321, ZY281, 204, 202, 200 oil extraction press; YZCLΦ1200-3000 * 5 floors series of steaming and roasting cooker; 71, 91, 130 disc - type hulling machine; 30, 50, 65 pressure filter; 50, 80 single, double, triplicity oscillating screen machine; triplicity cylinders oil pump kinds of conveying equipment and also all these components for all machines.